In addition to the words “One familiar place. 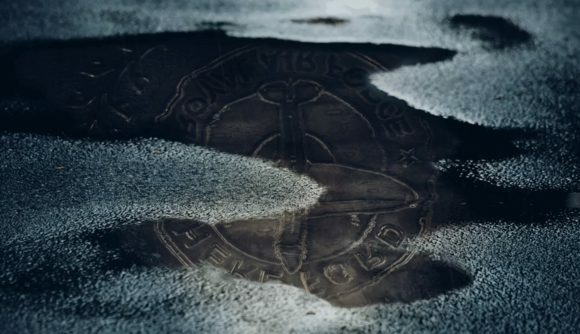 Two new faces,” the teaser features a gif of a rain puddle reflecting the base’s emblem. That emblem features a plane and the words “Hereford Royal Air Force,” which doesn’t sound very notable until you look at the location’s real world history. The base was controlled by the RAF up until the turn of the century, when it was taken over by the SAS – the modern version served as the model for the original map, and it looks like we’re going back to the past in the redesign. Ubisoft’s been talking about the Hereford redesign for a long time, and one of the things the developers mentioned earlier is that it would be set in a different time period from the original map. That came along with news of the map buff initiative detailed back in February, but Hereford is set to be much more than a rebalance – instead, it’s more akin to a full-on remake. The other thing we might be able to glean from this is weather effects. A rain-soaked teaser is no guarantee that the reworked map will be rainy, but these teasers tend to be specially crafted to offer certain hints – and a rainy British map would certainly be appropriate. More info is on the way in “the coming days,” Ubisoft says on Twitter. We’ll likely hear more about the rework and the new operators then.